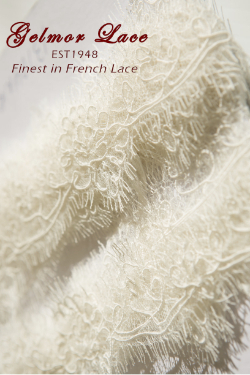 “Exquisite lingerie requires proper care.” Jennifer Edgar, Eucalan. How do you create the perfect industry marriage? You take an iconic, glamourous lingerie brand and pair it with an inventive product that can take care of it. Such is the romance between dynamic Dutch brand Marlies Dekkers and Canadian lingerie care wash label, Eucalan who share the same business premises. 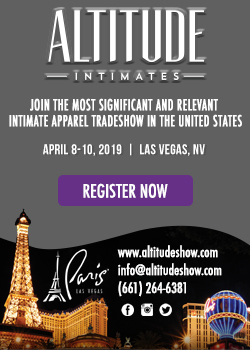 The man overseeing the union is Bill Schmitt, President of DW Schmitt Global Ltd who already guided the expansion of Eucalan in the West Canadian market and is touting the trendsetting Marlies Dekkers name in the North American arena. The relationship between these brands goes beyond the physical of sharing the same space and they have often been offered to interested clients as a complementary twosome. Eucalan Delicate Wash, with its no-rinse properties, is known as an ecologically friendly means of caring for intimate apparel and in the case of Marlies Dekkers, deluxe fabrics with high end finishing. CEO of Eucalan, Jennifer Edgar appreciates the housing of Marlies Dekkers merchandize with her wash brand as advantageous for both of them and she, along with Bill Schmitt, told The Lingerie Journal how moving in together is working out for this dynamic duo. Bill, I’m hoping we could start with you telling our readers a little bit about your company, DW Schmitt Global LTD? DW Schmitt Global LTD is an offspring to our sales organization, Schmitt Agency which through generations has been specializing in sales of intimate apparel. As sales agents for Eucalan, we developed a very strong relationship and were part of the initial drive to expand Eucalan sales outside of the finest yarn and wool shops in the world into lingerie boutiques. The match of Eucalan as the delicate wash of choice of the finest lingerie is an easy one. 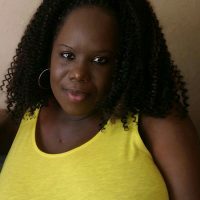 Jennifer, could you give a little insight into Eucalan as well? Eucalan is wrapping up the end of a wonderful 25th year of business! 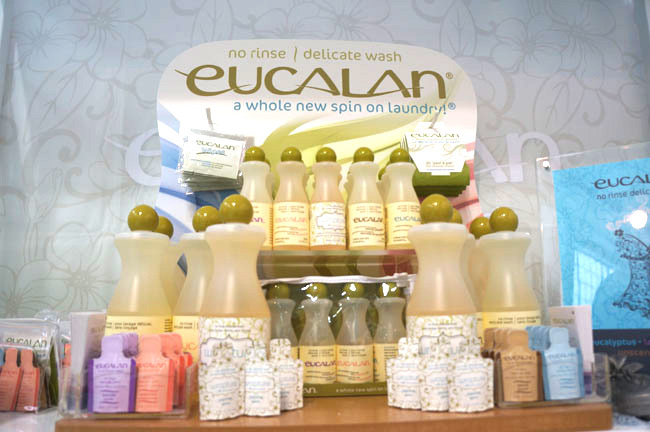 Eucalan Delicate Wash was one of the first accessories to exhibit at the lingerie trade shows in New York, many years ago. We’re proud to be a family business operating in Canada. Bill, how did you come to working with Marlies Dekkers? What’s it been like working with such a prestigious brand? Years ago, while walking the aisles at CURVENY, I passed by a Marlies Dekkers booth and knew immediately there was a magic resonating that I had never experienced before. You could feel the excitement. Once I returned from the show, I reached out to Marlies Dekkers leadership, and inquired as to whether there was any North American representation. There was a series of interviews, and I started as a sales agent shortly thereafter. With success was given the opportunity to represent the brand for North America. It is my pleasure and privilege to represent Marlies Dekkers the person and the brand. There have been ups and downs, however, I believe that only Marlies Dekkers was capable of persevering due to the innovative designs, and most importantly the perfect fit. Jennifer, how long have you known and worked with Bill? What did you think of the idea of working together with your warehouse? A few short years ago, Bill and I connected through our distributor at the time. He became our sales rep in Western Canada. I had never met Bill but he wanted to spend some time in our booth at Curve in Las Vegas – he is a natural with people and easy to talk with. When he started talking with me about him bringing in the Marlies Dekkers line to Canada it seemed we were in a position to help as we already had the infrastructure to warehouse and ship. How does Marlies Dekkers complement Eucalan and vice versa? J:They go hand in hand. Exquisite lingerie requires proper care. We have gained new accounts because they are speaking with us in our office on a daily basis and we are happy to send them literature and samples of our product. We in turn let our customers know about Marlies. In some cases we can combine the orders to maximise shipping. B: Given [that] the two organizations share the same values it seems easy. I believe if a consumer buys a quality undergarment, it is important that it is laundered correctly in order to last, and perform its main function of support. It is only if we can launder these garments residue free the fabrics that make up the bra can give best support. Bill, what’s been the biggest benefit of working with Eucalan and their warehouse for Marlies Dekkers and your customers? Eucalan has conducted business worldwide for many years and I believe this is largely due to their core business values which are to the highest ethical standard. DW Schmitt Global shares these values and I believe this association allows us to conduct our business according to the highest standards of creativity, integrity, quality and innovation, for all our products, concepts and services. Marlies Dekkers offers some beautiful, sensuous, luxurious and delicate intimate apparel. Jennifer, how would you recommend customers take care of this brand’s garments using Eucalan? Hand wash only!!! I really can’t stress this enough. The Firebird pieces for example, have amazing detail as you would expect from Marlies Dekkers. Gently submerse these items in tepid water with Eucalan and allow them to sit for a few minutes. Squeeze the item gently then allow the water to drain from the sink. Lay lingerie in a clean dry towel and press on it to remove as much water as possible. Make sure the cups are in shape and the straps are straight and lay the item on a fresh towel to dry. If it’s not a heavy piece it can be hung to dry after pressing out the water. 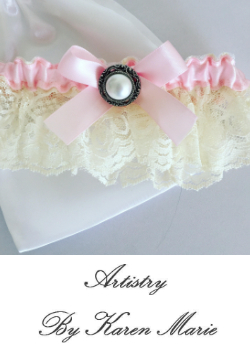 It’s an effortless process but helps maximize the life of your finest lingerie especially if it is padded or has metal or beaded embellishments. You were both at CURVENY. Could you tell us about what you both presented at CURVE this season? B: We presented the SS16 collection. Using the Dark Ages as a back drop, Marlies’ muse for the season was a powerful and passionate shieldmaiden, the legendary Lagertha. As we continue to strive towards gender equality, Lagertha was a feminist in the true sense: independent and very liberal in her sexuality. To celebrate, the SS16 collection tells Lagertha’s story. J:It was great to work with Bill and Connie at both shows in August. This was the first time we have presented together, although we were each in our own space. Eucalan showed its full line as well as our two new POP displays. 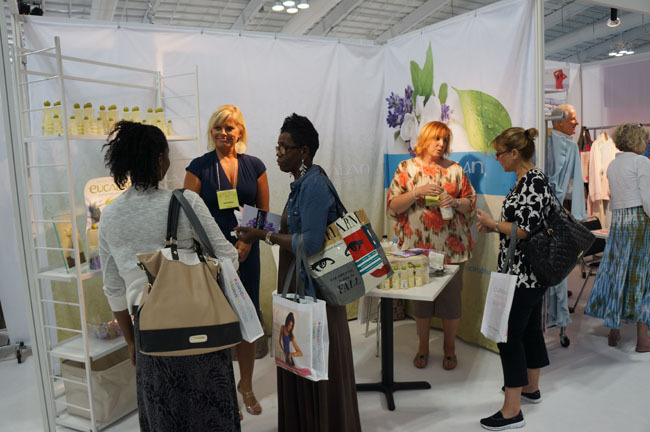 It’s so nice to speak with our customers about Eucalan and then be able to talk with them about the lingerie. People were so excited to see Marlies Dekkers at the show. Bill, for our readers who want to learn more about Marlies Dekkers, where can we direct them? Jennifer, for our readers who want to learn more about Eucalan, where should we point them to? Aside from looking in your local lingerie boutique, we have a great online presence. You can find us through most social media channels as well as www.eucalan.com.